With energy demands rising, researchers at Penn State Behrend and the University of Tabriz, Iran, have completed an algorithm — or approach — to design more efficient wind farms, helping to generate more revenue for builders and more renewable energy for their customers. "Wind energy is on the rise, and not just in the US," said Mohammad Rasouli, assistant professor of electrical engineering at Penn State Erie, the Behrend College. "The efficiency of solar panels is less than 25 percent, and is still a subject of current research. Wind turbines, on the other hand, are much more efficient and convert over 45 percent of the wind energy to electricity." Though wind turbines are efficient, wind farm layouts can reduce this efficiency if not properly designed. Builders do not always put turbines in the places with the highest wind speeds, where they will generate the most power, said Rasouli. Turbine spacing is also important –– because turbines create drag that lowers wind speed, the first turbines to catch the wind will generate more power than those that come after. 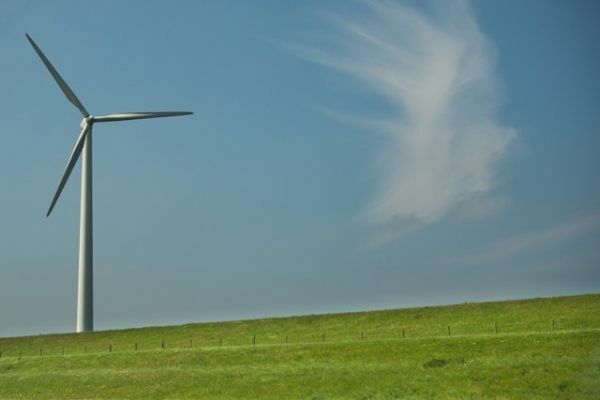 To build more efficient wind farms, designers must take these factors into account wind speed and turbine spacing, as well as land size, geography, number of turbines, amount of vegetation, meteorological conditions, building costs, and other considerations, according to the researchers. Balancing all of these factors to find an optimum layout is difficult, even with the assistance of mathematical models. "This is a multi-objective approach," said Rasouli. "We have a function and we want to optimize it while taking into account various constraints."